He knew that they couldn’t do this alone. When Hanna needed a wheelchair ramp, they were able to raise the money in their community. But it was still too early to celebrate - the Warfields needed a van. Gary had done exhaustive research into charities that would help his daughter achieve the most independent life she was capable of. He had applied to many, and been denied by most. One night, it felt like he was hitting a wall. He called his closest friend and reluctantly shared his fears about not being able to provide for Hanna and his family. You could read the stress in his face; see the light of hope fading from his eyes. The two friends half-heartedly planned to begin fundraising again, but they both knew this was a lost cause. Vans cost far too much. Hanna would be a teenager before they could raise the money. It was at this moment that his phone buzzed in his ear. He pulled it back to look at it and his heart leapt from his chest. It was an email from Chive Charities. His little girl had been approved. 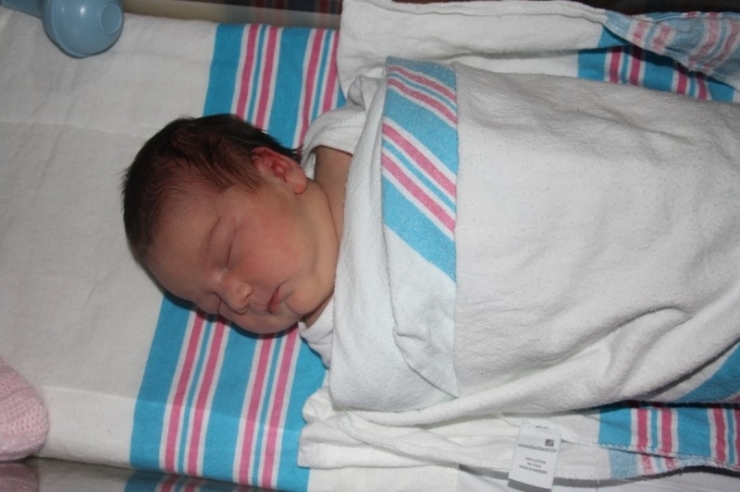 The beginning of Hanna’s life was no different than any other baby’s. 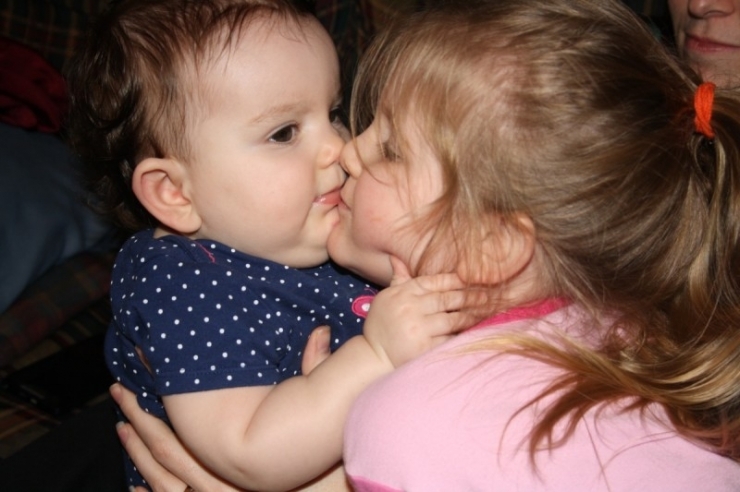 She was adored by her parents and her big sister, Bella. 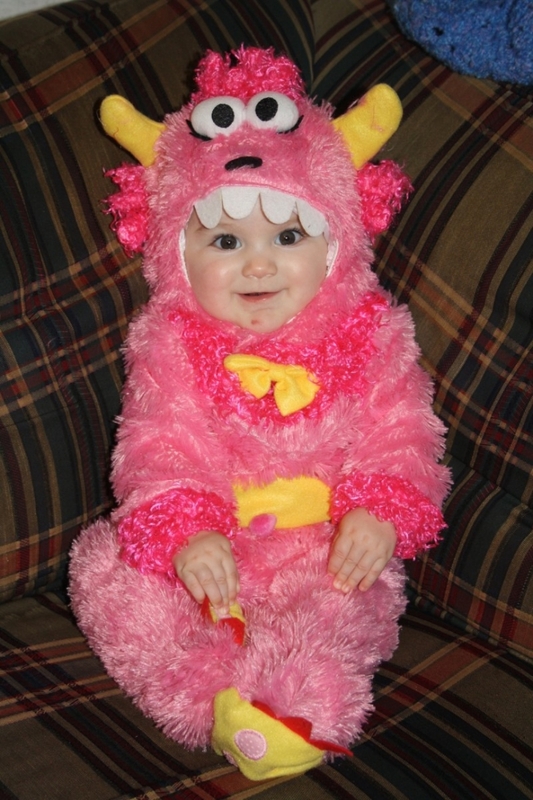 At 6 months, Gary and Ashley began to notice that Hanna wasn’t hitting the milestones that Bella did. 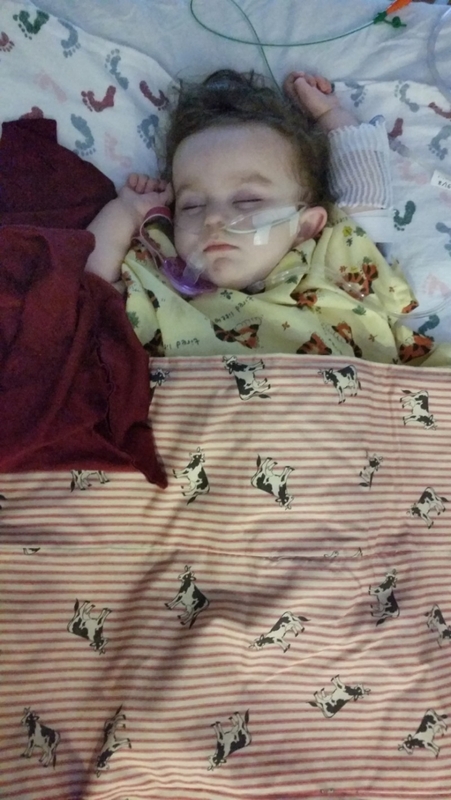 The couple nervously began seeking doctor’s opinions but were continuously rebuffed with reasons like Hanna was a “lazy baby” or the parents were “too critical.” Still, they knew something was wrong. 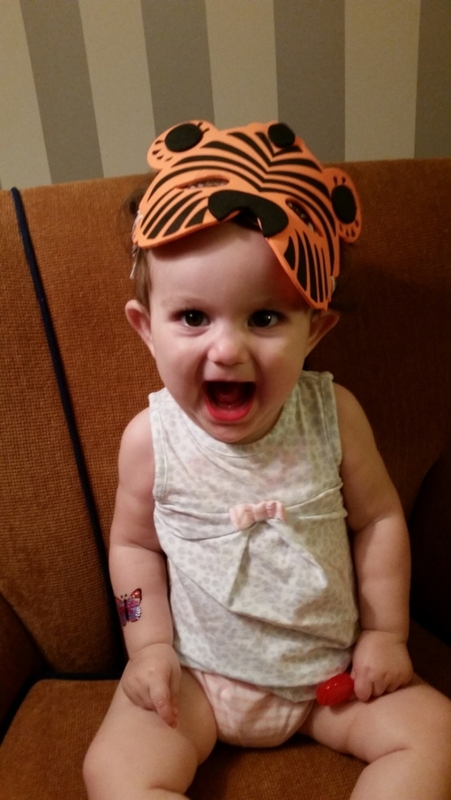 At 9 months they saw a neurologist for the first time. 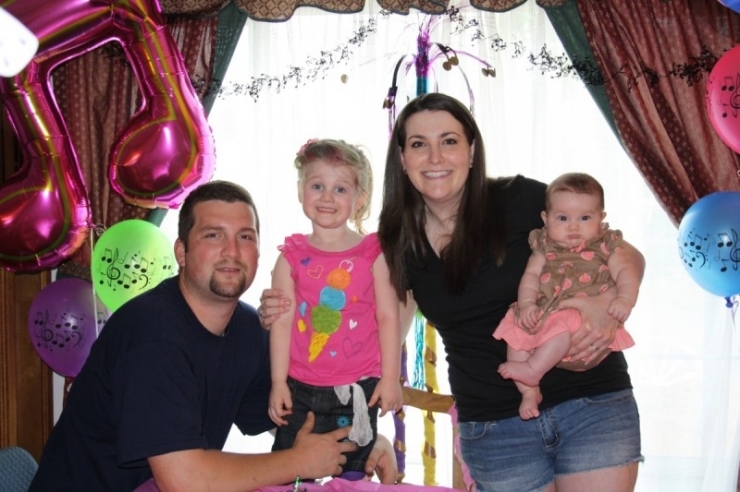 After genetic testing, the results were devastating: Hanna had SMA Type 2. SMA (Spinal Muscular Atrophy) is a neuromuscular disease that affects muscle tone. Hanna will lose about 1% of her muscle every year. She will never walk, and as her muscles atrophy she will also lose the ability to sit up and control her head movements. It also affects her respiratory muscles. As of now, she cannot cough by herself. 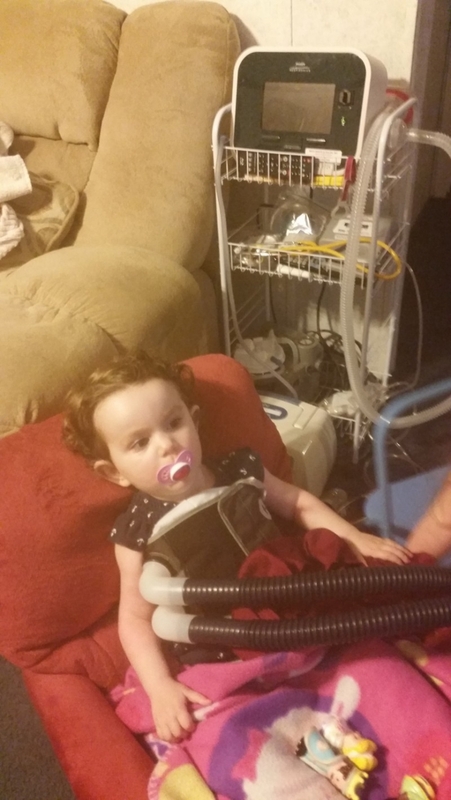 To assist her, once every morning and every night her parents put her in a machine called the Vest which shakes her body vigorously for 20 minutes to simulate a cough and break up mucus in her lungs. 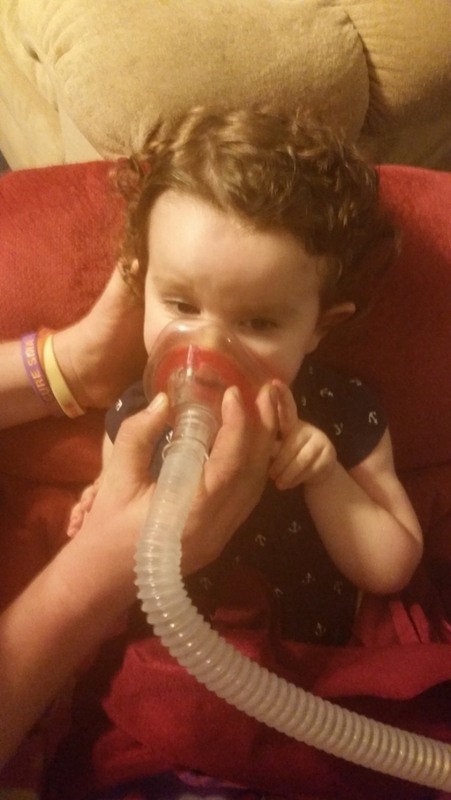 When she gets sick it can be life-threatening, she has been hospitalized with pneumonia twice. Hanna cannot bear any weight, nor can she lift anything more than a few ounces. But she’s also risen to the challenge. 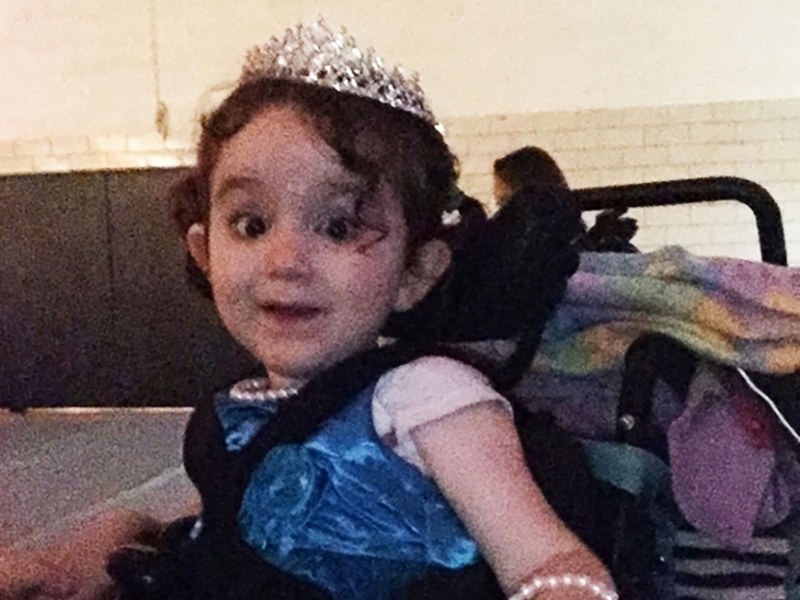 Hanna learned how to operate her motorized wheelchair at 16 months… the youngest person who’s ever done that. To say she’s just ‘smart’ is an understatement. Because she can’t excel physically she focuses all her efforts on learning. She has what her parents call “the best personality ever,” and is constantly talking. That’s how she earned the nickname “Jabber.” Hanna loves swimming, because it is when her weight is suspended in water that she gets to pretend that she can walk and do all the things she will never be able to. She loves princess stuff almost as much as she loves her big sister, but above all else she loves challenging herself to be as independent as possible. 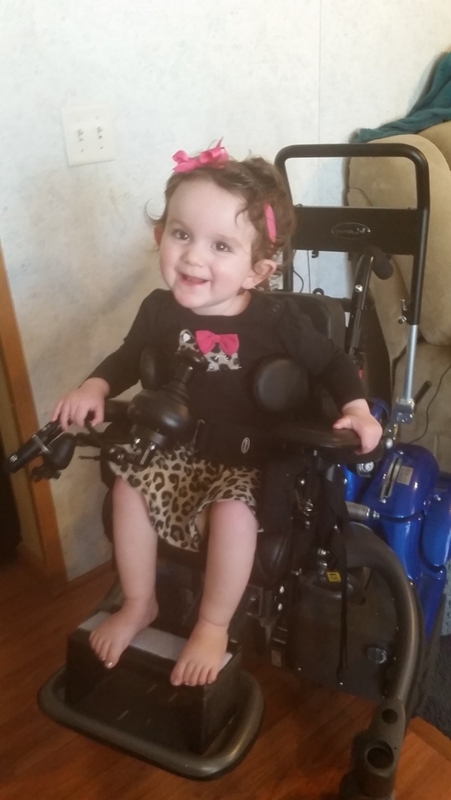 With her wheelchair, Hanna can drive herself around the house and the yard. But that’s it. When they leave the house, they have to pack a handicapped stroller and leave Hanna’s independence at home. This does more to deter her spirit than SMA ever could. That’s why Gary knew that a van was not a luxury, but an essential. That was why he stayed up so many late nights, researching and applying for a better life for his little girl. He felt like he was doing "a crappy job" of financially supporting his family. That was why when Chive Charities came through with a $55,000 grant for a 2015 ADA van with a ramp, it meant more than just getting a van. It meant that Hanna could continue to nourish her sense of independence and adventure. It meant she didn’t have to grow up in a world of limitations, and sit on the sidelines of her own life. It meant she could live it. She’s a big fan of big sister Bella. And Bella is a big fan of hers. They can have their moments, as all sisters do, but they fall asleep every night as best friends, hand in hand. Here's the whole family! The Warfields: Gary, Bella, Ashley, and Hanna! 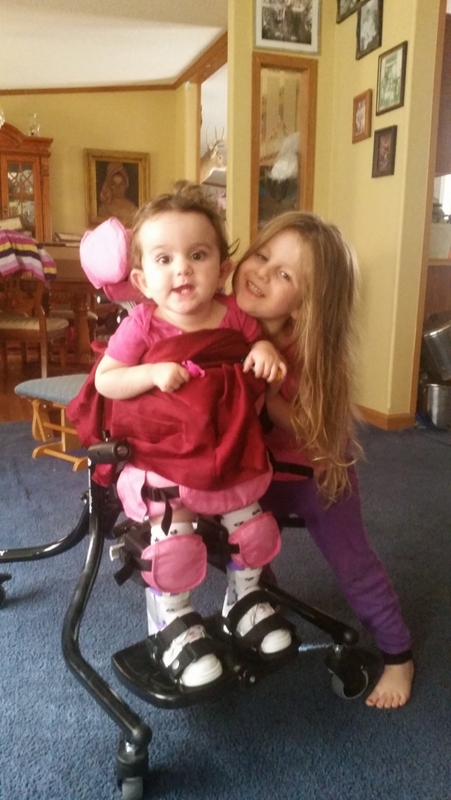 Bella poses with little sister Hanna in some of the equipment used for Hanna’s Physical Therapy. She does PT once a week. Because she can never gain muscle tone, only slowly lose it, the best they can hope for is that Hanna maintains for as long as she can. 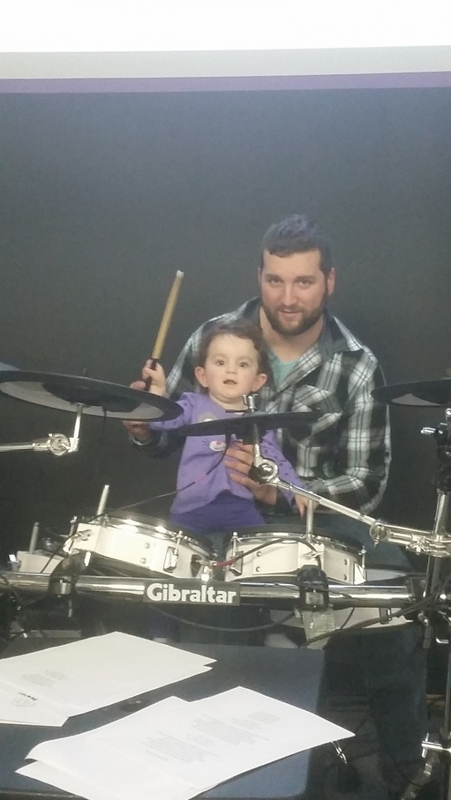 Hanna aspires to one day be a drummer like her daddy. Other days she wants to be a cake decorator like mommy. We have to agree with Gary - Hanna might just have the best personality ever. She is so smart that when doctors recently did an evaluation on her progress, they stopped the test early. They didn't need to continue, because Hanna had already scored much higher than she needed to. When Hanna gets sick, she gets really sick. In two years of life she’s been hospitalized twice. It never gets any less terrifying. Here’s the young prodigy in her motorized wheelchair. She has been operating this 320-lb. powerhouse since she was 16 months old. She is the youngest person in the world to do that. Doing whatever she wants, contrary to popular opinion, appears to be Hanna’s thing. This fighter has been breaking barriers since her diagnosis, but really it’s been longer than that. Since she was a baby she has excelled at whatever she puts her mind to, and nothing’s changed since SMA Type 2 became a part of her life. Except now, she has more people to prove wrong. With the $55,000 grant that purchased for the Warfields a 2015 Toyota Sienna with ADA ramp, the world is at the tip of Hanna’s fingers. For her, it will open many doors. For Gary and Ashley, they can sleep better knowing they're providing their daughter with the life she deserves. As Gary told us, "It's amazing what you guys are doing for families like ours." Now, Hanna can bring her motorized wheelchair anywhere she goes, which means more experiences, more travel, and more time with her family. 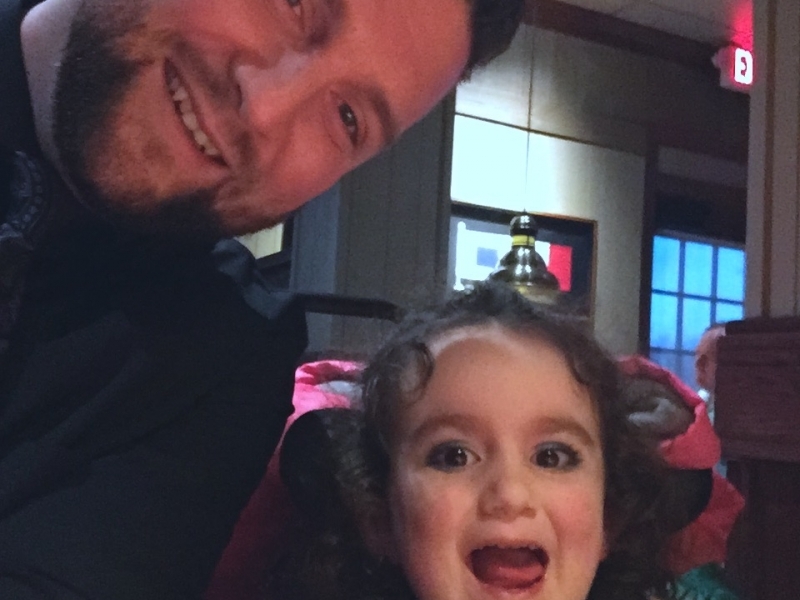 This van is a game-changer because it means she doesn't have to live within the confines and restrictions of those with SMA Type 2. She can simply live for herself. When you become a #ChiveCharitiesMember, you are actively participating in building a better future. Without you, none of what we do would be possible. Find out how to become a member HERE.